Cannoli bites – Everyone loves cannoli but making them bite-size makes them completely irresistible! On no less than 3 occasions over the past 5 years, I have felt like a failure to my Italian heritage and New York upbringing. When it comes to making cannoli, it’s been a rough go around here. But I decided to give one of my favorite desserts another shot for Thanksgiving this year and this time I found my patience to allow the ricotta cheese to thoroughly dry out and skipped the whole mess that’s involved with frying cannoli shells. While these cannoli bites are not exact knock-offs of traditional, they are reeeeally reeeeally close. Really close!! In fact, the only difference that I found is in the shells. And that was only because these cannoli shells weren’t super crispy from being fried. That’s because you won’t be frying these shells – you’re going to bake them! But the cannoli cream is a spot on match to full-size cannoli and it’s spectacularly delicious, thanks to the abundance of mascarpone cheese in the recipe. And after the shells are filled with cream, the flavors of the two begin to meld together into what we all know fabulous cannoli should be. These mini Italian desserts were a huge hit on my family’s Thanksgiving dessert table last week but there’s no reason why they should be relegated to just one holiday – spread the love with these cannoli bites all year long! 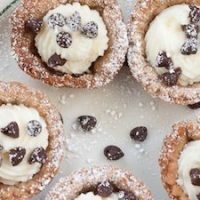 Since cannoli are a favorite special occasion dessert among so many people at the holidays, these cannoli bites would be a fantastic dessert for Easter, Christmas, or Christmas Eve too. OR! If you have a big cannoli lover in your family, group of friends, or co-workers, these cannoli bites would make a REALLY fun birthday surprise! I also highly recommend my cannoli cake for a delicious birthday or anniversary cake but these little bites are just perfect for sharing. They would look really sweet lined up on a white platter or stacked up on a tiered serving stand. I made these bites in the most classic way: cannoli cream filling topped with some mini chocolate chips and dusted with powdered sugar. But there are lots of ways you can make these cannoli bites your own! 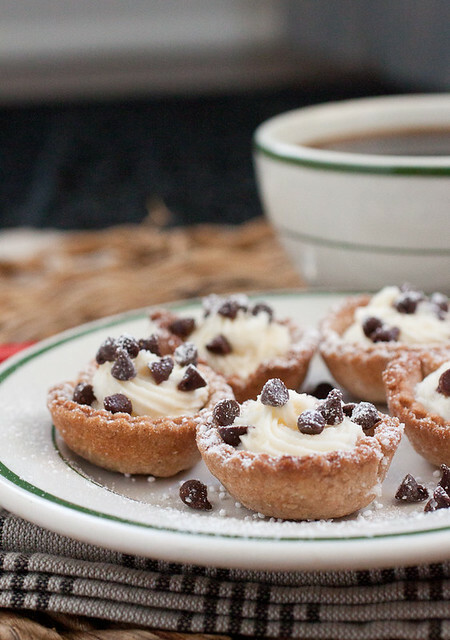 Dip the rims of the cannoli shells in chocolate. You can dip them wet chocolate rims in some crushed pistachios if you wanted to also! Or dip the chocolate rims in sprinkles! Drop a tablespoon melted chocolate into the bottom of the cannoli shells and let it dry before filling them with the cannoli cream filling. Now you’ve got mini chocolate cannoli bites! 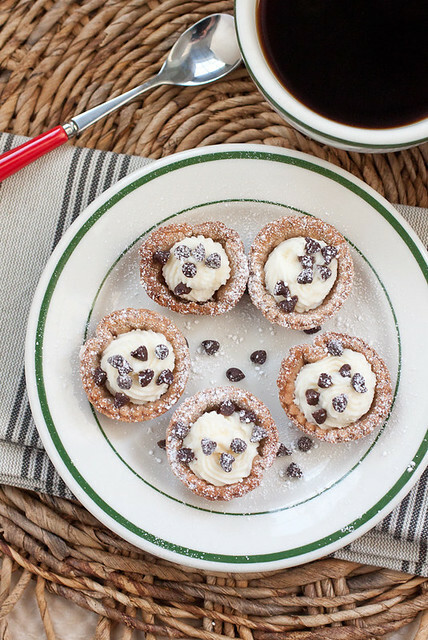 Regardless of how you choose to make these mini Italian desserts, they won’t let you down. They’re completely delicious and everyone is guaranteed to love them!! Cannoli bites are a delicious dessert for holidays, birthdays, or anniversary parties. 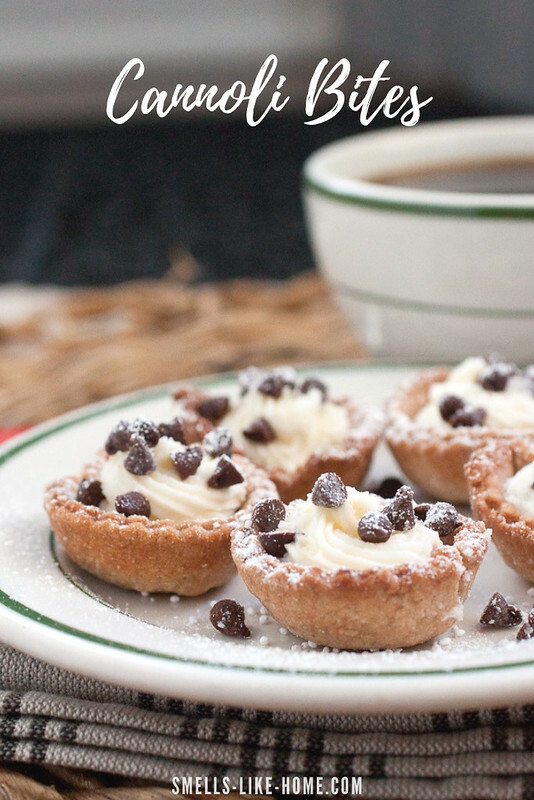 They taste exactly like regular cannoli except the cannoli shells are baked in a mini muffin pan! No frying needed! 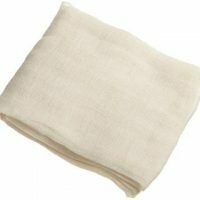 To make the cannoli filling: Strain the ricotta cheese in a piece of cheesecloth tucked in a colander set over a bowl for at least 8 hours in the refrigerator - overnight is best. I can't stress enough how important it is to allow the ricotta cheese enough time to strain. It needs to be super dry in order to keep the cannoli cream from being runny - and nobody likes a runny cannoli cream. Once the cheese has dried out, mix it with the mascarpone cheese and powdered sugar in a medium bowl until well-combined and smooth. Chill in an air-tight container until ready to use (at least 30 minutes). The cannoli cream can be made 2-3 days in advance and kept in the refrigerator. 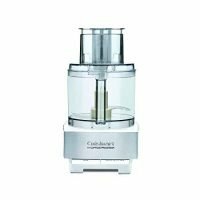 To make the cannoli shells: Pulse the flour, sugar, cocoa powder, cinnamon, and salt in the bowl of a food processor fitted with the steel blade until combined. Pour in the melted butter and pulse a few more times until it incorporates into the dry ingredients. Use a rubber spatula to clear the sides of the bowl. With the food processor running, pour the Marsala through the feed tube into the bowl and keep the processor running only until the dough comes together in a ball. Divide the dough into two pieces, wrap them in plastic wrap, and chill the dough pieces for 30 minutes - 1 hour. Preheat the oven to 400° F. Roll each piece of dough out on a well-floured surface to 1/8-inch thickness. Try not to stretch the dough while rolling and keep the surface under the dough floured to prevent sticking. With a 2 ½-inch round cookie cutter, cut out 48 rounds of dough, re-rolling the dough scraps as needed. 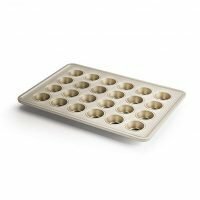 Transfer the rounds to the cups of two 24-cup a mini muffin pans, pressing them lightly to mold them into the cups. Spray the tops evenly and lightly with vegetable spray. Bake for 10-12 minutes until the shells are lightly browned and starting to bubble in places. Transfer the pans to wire racks and allow the shells to cool for a couple minutes then take them out of the pans and allow them to cool completely on the racks. The cannoli shells can be make 1 day in advance and stored in a plastic zip-top bag or resealable container at room temperature. Fill a pastry bag (fitted with a star tip) with cannoli cream and pipe the cream generously into the shells. There might be some leftover cannoli cream (get a spoon!) so don't worry about running out of cream before you're finished filling the shells. 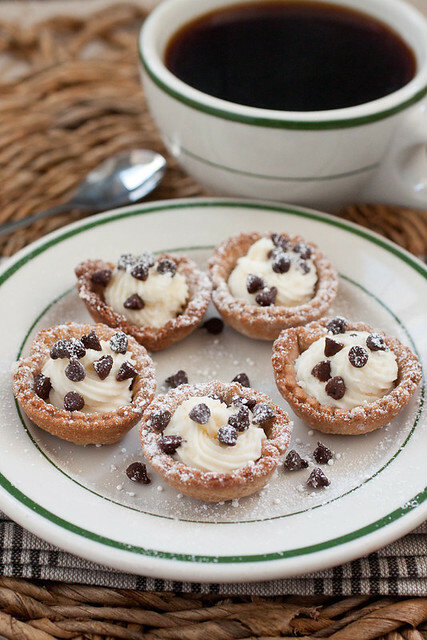 Drop a few mini chocolate chips on top of each cannoli bite then dust all of the bites with powdered sugar. Keep the bites refrigerated until ready to serve, at least 30 minutes and up to 12 hours. I can't stress enough how important it is to allow the ricotta cheese enough time to strain. It needs to be super dry in order to keep the cannoli cream from being runny - allow it to strain for at least 8 hours but overnight in the fridge is best. Traditional cannoli shells are made with sweet Marsala wine but the original recipe suggests that you can use 6 tablespoons of apple or grape juice and 2 tablespoons of white wine vinegar in place of the Marsala if you choose to. The Marsala lends a subtle flavor to the shells and doesn't overwhelm them at all.